3 Beds 3 Baths 1 Partial Bath 1,713 Sq. ft.
Beautiful end unit town-home in desirable Timber Trails. This home is move in ready with fresh paint and brand new carpet throughout. It is one of the largest models in the subdivision with a very open floor plan that has tons of natural light. Large living room with 9 foot ceilings opens to 2 story foyer. Kitchen has 42" upgraded cabinets, breakfast bar and stainless steel appliances. Roomy dining room with access to private balcony. Master bedroom has a big walk in closet and a gorgeous master bathroom with large soaker tub and separate shower. Foyer and lower level laundry room have new Pergo flooring. Over sized utility room with storage space. The roof and the hot water tank are both new. 2.5 car attached garage. This subdivision has walking and biking trails, playgrounds, ponds and is mixed in with single family homes. 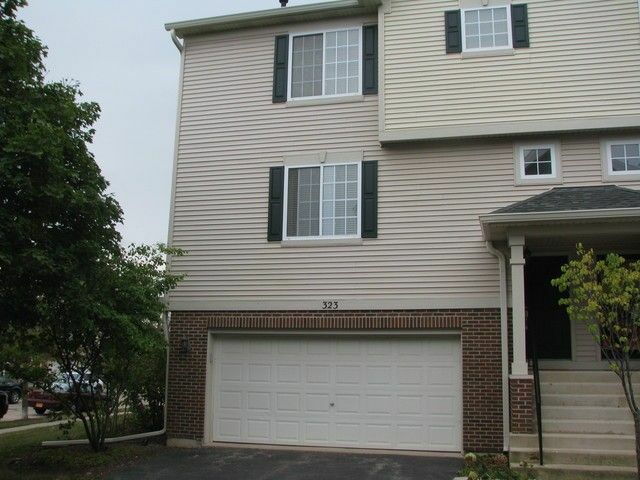 Great location near Randall Road, I-90, Hospital, Shopping, Dinning and Metra. Don't miss out on this one it is a regular sale and can close quickly.